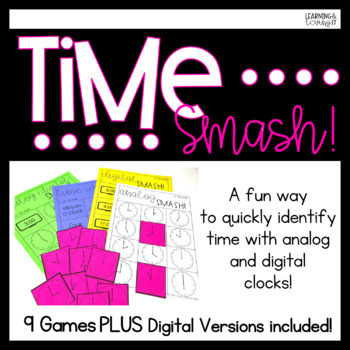 Identifying digital and analog time has never been so fun! 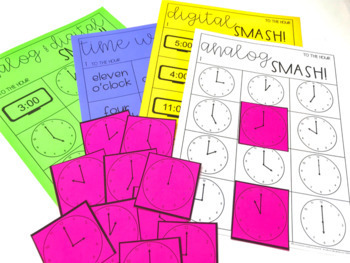 SMASH these game boards with wands, play dough, dry erase markers, or a bingo dabber! You can also use the included cards to cover up the spots on the game mat as well! 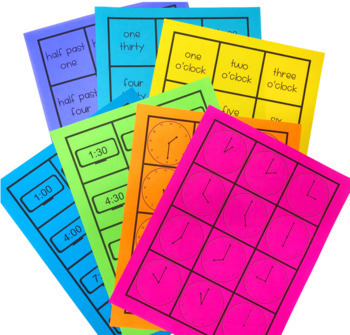 I use these during my guided math/math centers time. 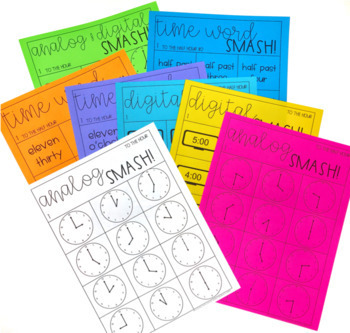 I will call out a time and the kids will quickly find the matching time and SMASH it with the wand or cross it out with the marker. My kids LOVE this game, and yours will too!! If you like this, check out the SMASH bundle!